Barber chairs are essential in barber shops and salons. Without them, barbers and patrons alike will have an agonizing experience. As with any other item, barber chairs degrade over time, especially when used frequently in the day-to-day operations of a business. Normally, they can be repaired by the manufacturer. However, there are other manufacturers that cannot provide service anymore for discontinued models of their chairs. Some cheaper units don’t have labeled manufacturers at all. Replacement parts may only be found overseas and may cost more in the long run. In cases wherein manufacturers refuse to accept barber chairs for repair, there are a handful of barber and beauty supply companies that might be able to assist you. Chances are these companies may have a list of manufacturers that can assist in locating a repair facility. 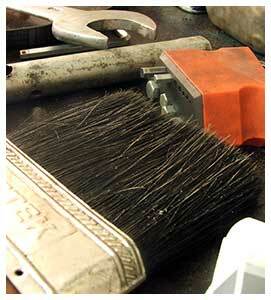 There are also restoration shops that restore anything from old Coke machines to barber chairs. Whenever you are planning to repair these antique chairs, understanding the order in which to operate is very important. Otherwise, it’s going to take a long time to fix the chair. The first thing to do is to put the chair on its back down position. This lets you work tightly on the back’s front. You then have to position the chair up and face it on the right hand portion. Do whatever it is that you have to do there. Next, operate on the front area of the chair and then on the left side. To finish off, position the chair facing all the way down. It will now be all too easy to slide the back over the edge to handle the underside. Without knowing these in order, you often find areas you had overlooked even if you have already been all over the chair. Even though there are some projects that are easy to do on your own at home, restoring or repairing antique barber chairs may not be one of them, particularly if you have intentions to sell it in the future. This is also true for other antique items like shelves and desks. If you’re considering repairs or restoration, it would be wise to seek advice from a professional before attempting to do it yourself. Some repairs are easy to carry out as a weekend DIY project. In other instances though, your simple restoration project might turn out to be something that would be better left to an expert. This really is usually the case if you’re working on one that is rare and has a high value. « How Do You Find The Value Of Your Antique Barber Chair? Is there a restoration kit for the Koken presidential Barber chair? I have two of them from the nineteen-seventies that I want to bring back to the land of the living. If you have or can point me in the right direction, that would be awesome? How do I recline the koken barber chair to go back ? I have a Theo A Koch 1930’s barber chair can anyone advise where I can find screws and parts for it. looking for phone numbers for barber chair restoration in new jersey area. How to locate service tech in my area. Looking for antique barber chair restoration near MI. I have three antique chairs that I recently inherited- is there a special method to get the chair(s) to recline? Just bought a Koken chair. Needs much work and parts. Whom do u suggest and what’s my model? I have a 1920 Koch barber chair. I refilled the oil from what leaked out, but im unsure about 2 things. 1. How high do I fill the oil? I might have overfilled it which is causing my next questions. 2. It is leaking from the bottom, haven’t found exactly where yet and its not that much but it is leaking. What is it and how do I fix it? I have a koken Saint Louis. For some reason when I was pumping it up it got bound to the top and wouldn’t come down. I kept putting pressure on the handle until it broke at the pump. Where can I find that peice? I have a 1920 Paidar Barber Chair all features work accept the lock position it leaks out the base and getting worse. My shop is in Buffalo,NY and really in need of getting it repaired. Yes, I have a 1920’s Beringhaus Hercules sticks in the up position. Can’t see any oil in cylinder. Was filled when restored 3 mo prior.